How much should you put aside for a pension? Unless you really, really love your job, you won’t be planning on working much beyond your sixties. While thinking about pensions may seem unnecessary to any spring chickens reading this, it’s never too early to begin putting a small amount of money aside for a happy retirement. Provided you earn £6,032 or more a year, you have the right to opt into a pension scheme from the moment you land your first job. Having the appropriate pension scheme in place enables you to plan – maybe even get excited – for your retirement. It also provides the peace of mind that your pension income will meet your needs. Remember, you won’t be receiving any more pay packets. The UK state pension (provided by the government) only amounts to a few thousand pounds per year. So providing for your own financial stability in retirement is a necessity, rather than a luxury. The problem is that your state pension won’t be enough to keep you going. What’s more, you may be in a position where you need additional care later in life which can be very expensive. It’s certainly best to begin squirrelling funds away sooner rather than later! In this post, we will run through some commonly asked questions about how much money you’ll need for your retirement. Approximately one third of UK adults aren’t saving at all for their retirement. Of those that are, few are saving enough to give them the standard of living they hope for when they retire. People usually require 50-80% of their pre-retirement income. There are helpful online tools available to estimate the amount you’ll need. However, people often do not possess the knowledge and information needed in order to use these tools to their full extent. They remain useful as a starting point and guide and help to get you thinking about the type of scheme you need to begin implementing. When can I access the funds in my pension pot? You can normally access the money in your pension pot from the age of 55 but this depends on the scheme you signed onto. Be aware of pension scams. Fraudsters approach people approaching retirement age with ‘advice’ about withdrawing and investing your pension. They may attempt to attract you by making a false claim that you can access your pension sooner than you can. How will my living costs change once I’m retired? Whilst it’s really important to think about and arrange for a substantial pension pot to add to your state pension, don’t be completely terrified by the figure you’re likely to receive from the state. Your spending and financial responsibilities will change when you retire. You won’t have any work expenses for example and you may have paid off your mortgage. Despite this, increased time spent on hobbies and at home could mean more expense towards those and an increase in your household bills. This is why – however tempting it may be – cashing in your pension to clear debts or splash out on a holiday is not recommended. Doing so would reduce the funds you’ll have to live on during your retirement and you could also end up with a large tax bill. Whether you are seeking advice regarding your own pension or you’re a business client looking to set up a workplace pension scheme, our pension advisory service can provide the information and expertise that you need. ONS statistics suggest that people aged 65 to 79 make up the happiest age group in the UK. It’s true that many find that retirement gives them a new lease of life: more freedom to enjoy their lives unhindered by the usual worries about work and money. But achieving these feelings of freedom, confidence, and joy depends on a certain degree of successful retirement planning. In order to make the most out of your later years, you need to think long and hard about how you want to spend your time and money on a daily basis (as well as over the years). Research from Which? 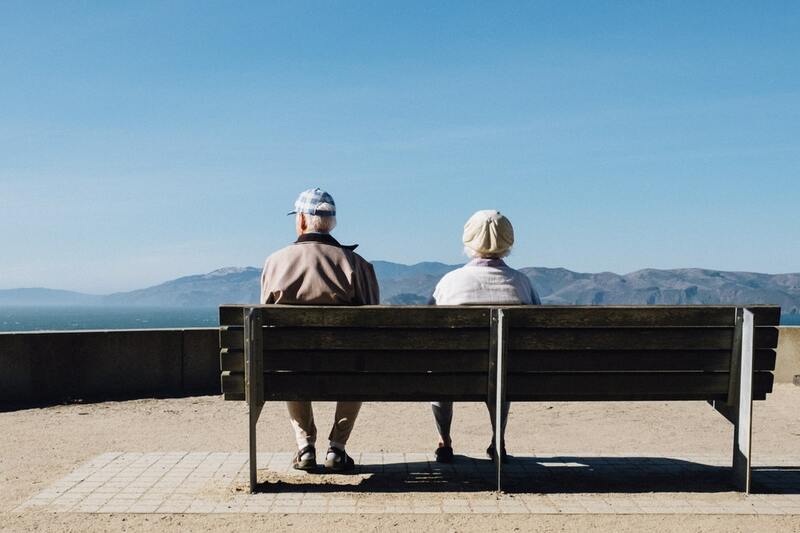 suggests that it will cost the average retired couple £26,000 a year to have a ‘comfortable’ retirement, while you’ll need £39,000 for a ‘luxurious’ retirement of holidays, leisure and new cars. To help you live the life you want to lead in your retired years, we’ve put together a handy guide to successful retirement planning that will help you make the right choices while working your way to the best retirement you can. It’s never too early to start preparing for your retirement. Even in your 20s and 30s, you’ll gain a lot in years to come if you start preparing the foundations of a retirement plan. By the time you head into your 40s and 50s, you should definitely have a fully fledged plan for your life after work to make sure you’re not just scraping by on a state pension. As a young adult, your most important aims should be clearing any debts you have, as well as opening high-interest, tax free ISAs to make the most of what you save. By opening an ISA, you’ll be able to build up your finances, but you’ll also have access to the money at crucial times, unlike an inaccessible pension pot in later life. As you move into a fully-fledged career, entering your company’s pension scheme, if one is offered, should be a top priority. Make sure you look into all the options available; don’t necessarily just choose the default plan. As you enter your 40s, remember that there’s more to retirement than just having a big pension pot. Clearing any outstanding debts and controlling your outgoings is just as important. By this point in your life, having an effective pension plan is a necessity. However, even if you haven’t started saving for retirement, it’s not too late! As you reach the top of your career and you start earning more than you ever did before, you’ll be able to allocate even more to your pension fund. Ultimately you’ll need to have an idea of when you want to retire and what kind of a life you want once you’ve left work – start preparing for that. Your 50s usually herald the final full decade of your working life, so it’s imperative that you have retirement goals in mind. With a larger pension pot, you’ll be able to start taking full control of your finances and deliver the largest amount you can to your preparations for the future. Research pension options; annuities, self invested personal pensions (SIPPs), or even – since the change in pension freedom rules in 2015 – transferring money out of your pension pot if you are over 55. Consider using a financial advisor to help you make the decision that’s right for you, as deciding on a strong pension plan is an extremely important aspect of the tail end of your working life. 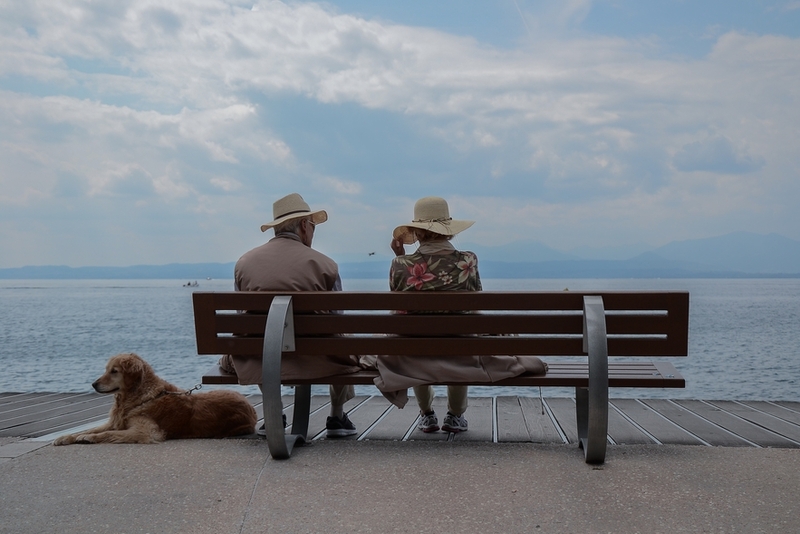 The last few years before you retire should be used to ensure that all of your finances are entirely in order, any debts or mortgages cleared and a fully developed idea of exactly how you want to take your pension. If you haven’t done it by your 60s, it’s time to start seeking financial advice and get everything in order. An important part of retirement planning is taking a step back and thinking about exactly it is you want to get out of your later years. While this is a big question that will require some rumination, most people have some idea of which goals they hope to achieve in retirement age. Many people hold lifelong dreams that finally come true when they retire and find the motivation, and many others capitalise on a fresh sense of confidence and excitement by trying new things, making new friends, visiting new places, or even forging new careers. Gather together with your friends of a similar age and discuss what you want out of retired life, and don’t be afraid to get idealistic or far fetched. After all, retirement is about doing exactly what you want to do, even if your goals are a little ‘out there’. Are you considering moving abroad to start a new life once your pension starts coming through? Well, you certainly wouldn’t be the only one! Just remember to plan this well in advance in order to mitigate the stress of moving. Perhaps the biggest question for most people will be: how much money do you need for a successful retirement? The suggestions that you will need around £20,000 a year or maybe 80% of your former annual income for a sustainable life get thrown around a lot. Of course, many underestimate exactly how much they will end up spending upon their retirement, especially given the increased temptation to spoil themselves on meals out and trips abroad. But is there any real reasoning behind these numbers? Well, not quite. You should base your goals around the situation that you’re in, so the amount that you need to live comfortably in retirement depends on your individual expenditure. Ask yourself: how much do I expect to be spending on utilities, insurance, holidays, taxes, and little extras? The better you plan your spending, the easier it will be to make good on your goals for later life. Start with the essentials, and then calculate how much you have left for the things you enjoy. You may want to factor in several holidays a year to experience more travel in your retirement. Maybe you’d like to take up the gym or some acting classes; it’s never too late to enjoy your life. Just remember that you will not have to pay National Insurance contributions on your pension, nor will you have to spend much on public transport and fuel in the winter. So you can happily cross these expenditures off your budget! If it turns out that you need more money to fund your retired lifestyle, take a closer look at your pension options to determine how you can increase your income. A really easy way to determine your income in retirement is using the Money Advice Service pension calculator. This service will help you determine how much you’ll receive as your pension, taking into account your NI contributions, company pension pots and any other sources of income you may have. Using tools like the pension calculator can help give you a fairly accurate estimate of how much you can expect to receive for your pension. Once you’ve worked out roughly how much you’ll be receiving as your pension, you can start devising your ideal financial plan. It goes without saying, but laying out what you have already and what you’ll need during retirement will be extremely useful for doing the most with your pension. From there, you can maximise on your savings, build up an investment portfolio and work out how to live the lifestyle you’d like. Financial planning is about more than how much money you will need to get by. There are other pressing financial matters that you should address. You might want to make some plans to sell up and downsize on your home. 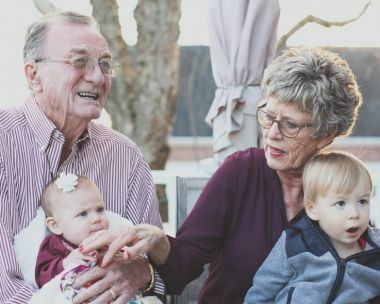 Although downsizing is a very appealing idea to a lot of retirees – with almost a third planning on selling the family home at some point – it often isn’t a practical solution. While it can indeed be expensive to run a larger house, smaller homes are not always cheaper especially if, like many retirees, you’d like to be close to your family and within walking distance of many amenities. However, if you are able to sell up and downsize without taking out another mortgage, you could gain a lot more spending money for you to live on. No matter what you choose to do, you’ll have to ensure that your retirement plan takes into consideration your living situation, and where you intend to move from that point forward. Everyone’s situation is different, which is why IMC offers a bespoke service, tailoring our advice to each individual client. There’s an array of pension options out there, all with differing tax implications. Speak to an advisor for guidance on how to make your money work towards a bright future.